In the 1960s there was a French film starring Charles Aznavour, called Tirez sur le Pianiste – Shoot the Pianist. I never thought I would come to write about an actual attempt. I discovered this story while digging into the history the Palace. In the early days of silent film, subtitles carried the rather crude dialogue, and atmosphere was created by a skilled pianist who would vary the music according to the scene. In 1920 the resident pianist at the Palace was Gladys Smith who lived at her parent’s house at 97 Anson Road. She was being courted by an 18 year old by the name of Reginald Riley. He was an electrical apprentice in the Carriage Works. He lived with his father at the George at Stony Stratford, and we may infer that he was probably lodging in an unimproved outbuilding. Gladys seems to have become fed up with Reginald and decided to terminate the relationship. She wrote letter to him on Christmas eve 1919 to tell him as much. The next move shocked Gladys. He took a revolver out of his pocket and fired it at her. She apparently did not see the gun or feel anything, but she did see a flash and hear the report. She went inside and slammed the door. Once inside she discovered that only a button had been shattered and her coat was singed. It was a narrow escape. Her father and the lodger went out to challenge Reginald Riley n found him quiet unconcerned and asked Mr Smith to give him a fag! Another neighbour was now on the scene and they jointly tried to get the gun away from him and, while his pockets were being searched, he suddenly made a run for it. The men immediately gave chase but as they got near the fugitive he turned and fired at the then. Before long he was out of ammunition and the despertethe youth threw the gun away and ran into a back way. Here he was seized by his pursuers who took him to the house of police sergeant Honour. He was then remanded in custody until January 2nd when, unshaven and with eyes seeming a little wild, he appeared at Stony Stratford police station before a packed court. There he was further charged with shooting at a man with intent to harm, and for stabbing Francis Craddock at Wolverton on Christmas Eve. This had been with a knuckle duster made from an old knife, and during the evidence the reconstructed coat button, flattened on one side, was produced. 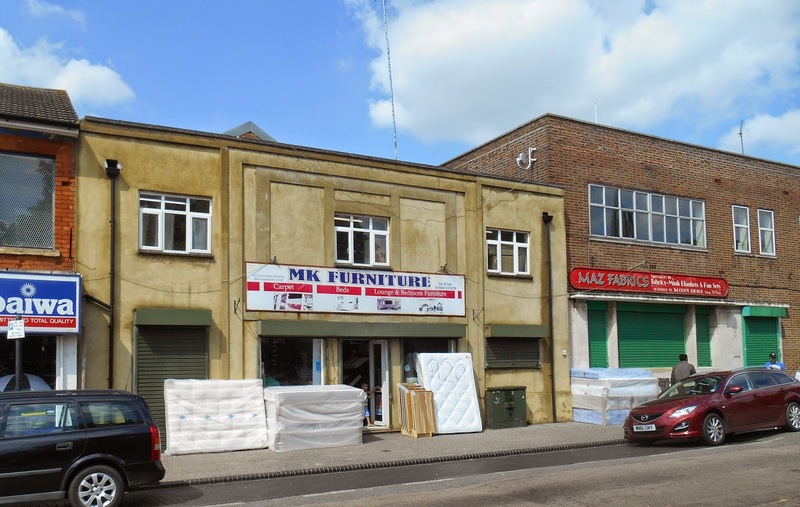 During the proceedings it was revealed that about six weeks ago he had bought a revolver and cartridges for 10s from an apprentice fitter of York Road, Stony Stratford, and also disclosed was his home service in the R.A.F., from June 1918 to May 1919. By the verdict of the court he was detained for trial at the Bucks Assizes at Aylesbury, where on Friday, January 16th 1920 he appeared before Mr. Justice Horridge. Three charges were brought but acting for the defence Sir Ryland Adkins MP said that although his client pleaded guilty he asked that the intent to murder be dropped, and this was agreed. The Judge said the report he received from the Governors of Borstal Gaol stated the prisoner to be a most respectable young man. He had no previous convictions and the case was not recommended for the Borstal Institution. 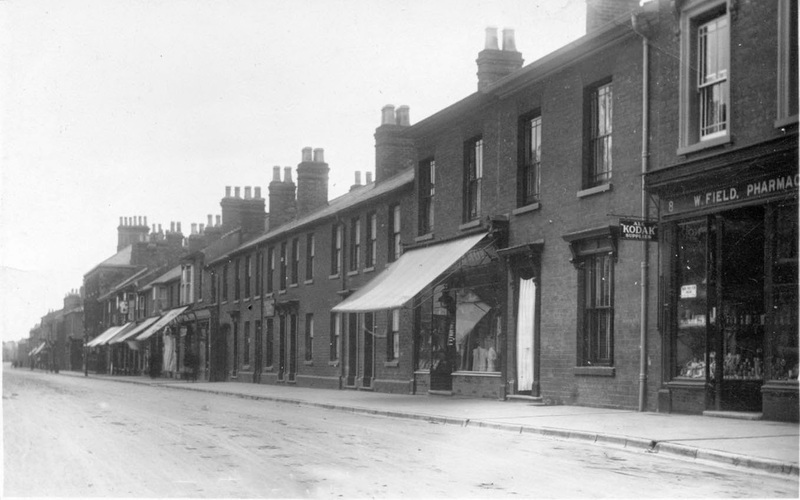 As for other evidence, a report was read from the Bucks constabulary stating that on July 29th 1919 the accused had been seen in London Road, Stony Stratford, in a very excited condition. When asked what was the matter he said he had killed his girl at Stony Stratford but when he ‘came to himself’ after being detained he wanted to know why he was there. This the defence claimed proved him to be of a highly strung disposition, and therefore liable to be greatly upset on receiving a letter from his sweetheart saying it would be best for them to part. In conclusion the Judge said that men must learn that they could not act in this way just because girls, as they had a perfect right to do, declined their company. This kind of thing was by no means exceptional in his experience, and a sentence of 18 months’ hard labour was imposed. Reginald Riley appears as a very unstable character and was also very possessive We know the type, common enough even today, but without the slightly lunatic tendency to fire guns at people. I don’t know what happened to Reginald Riley and he does not appear in North Bucks again. perhaps he emigrated. Author Bryan DunleavyPosted on 20th May 2015 Categories Picture PalaceLeave a comment on Shoot the Pianist! The Palce Cinema still stands rather awkwardly on the Stratford Road in its original location. 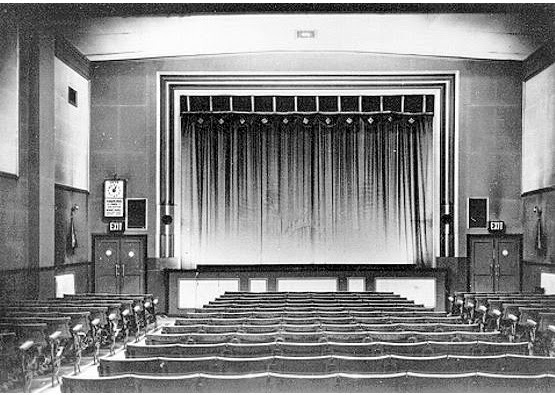 It ceased to function as a cinema over 50 years ago and it has had various uses since then. In my young and teenage years it was regarded as a bit of a flea pit. The last renovation was in 1935 and the interior was certainly frayed at the edges. 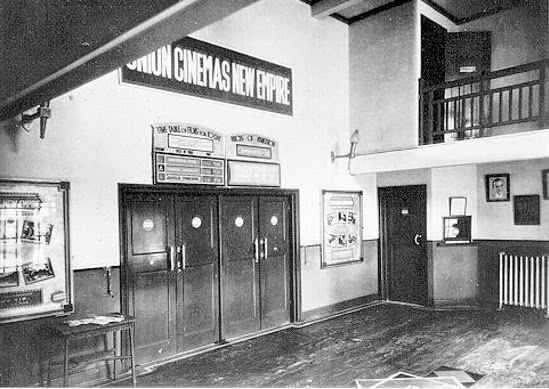 The Empire was regarded as the better cinema. 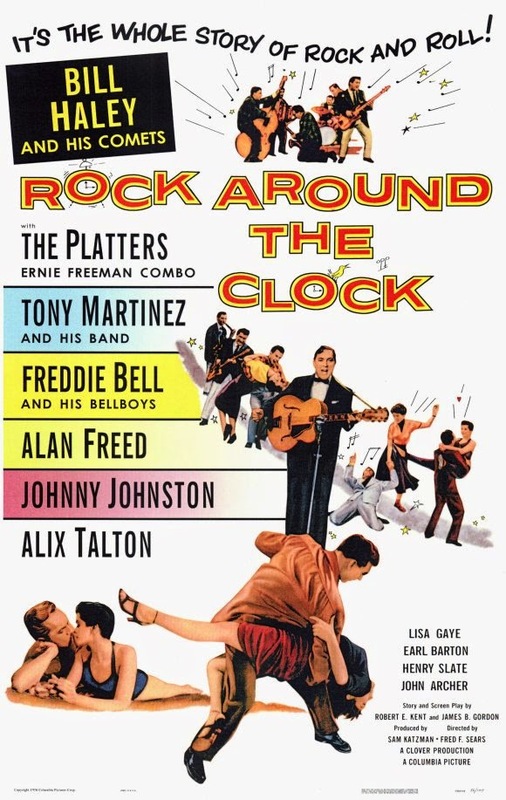 The great sensation of 1956 was the release of the film Rock Around the Clock, a sort of biopic about Bill Hayley and the Comets who had been projected to unlikely stardom by the release of the hit record. Looking back now, I think it was a ‘B’ movie to end all ‘B’ movies, hurriedly put together to cha in on the craze. Bill Haley and his band had been on the road for year and were approaching their late 30s Two of them including Haley himself were balding and Haley had a few strands of his forelock arranged like a question mark on his forehead. The publicists dubbed it a “kiss curl.” At any rate it wasn’t a Bobby Charlton comb-over. Even so, they brought a new energy to popular music,, quickly supplanting the mellifluous ballads that were typically crooned at the time. It was a revolution to us and the Palace was packed with primed teenagers, all pumped up ready to jive in the aisles. The manager, sensing trouble, came out to warn us that no misbehaviour would be tolerated. In those days that was enough to settle us down. This was greeted by laughter and stamping of feet and another visit from the manager, who stopped the film and put us on final warning. 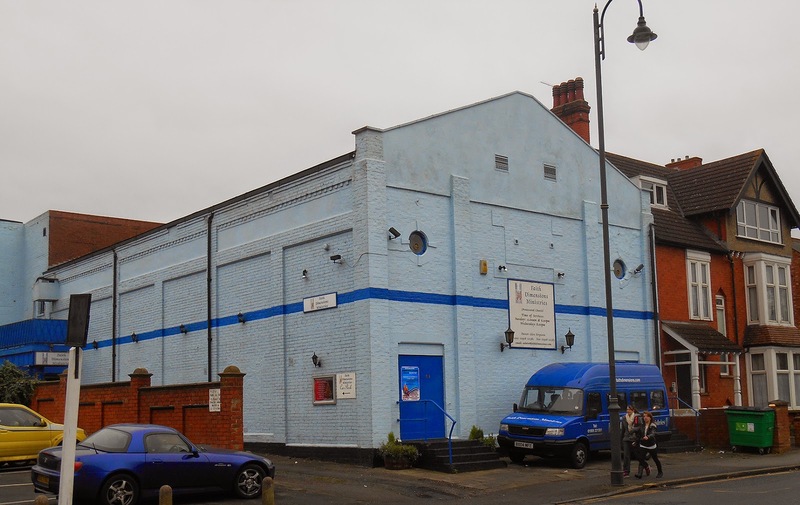 The Picture Palace was the first of its kind in Wolverton and was erected in 1911. Astonishingly, the building of the Palace took only nine weeks from the laying of the foundation stone to its opening on December 11th 1911. 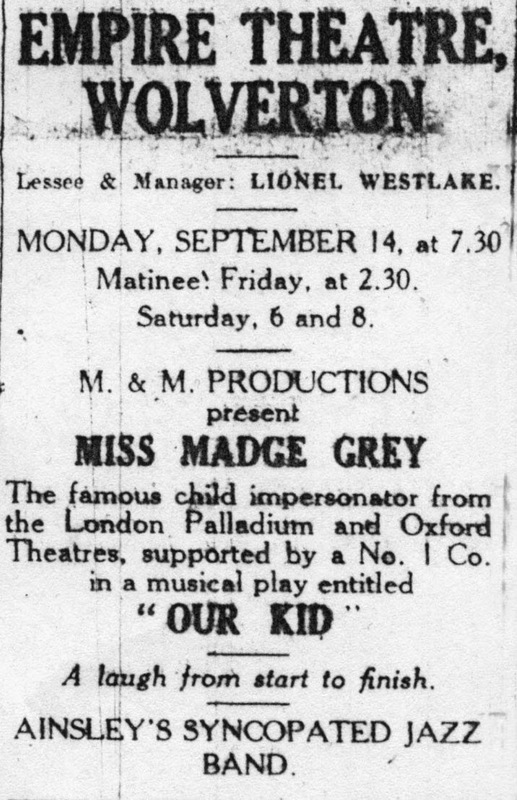 Even in those simpler days this was some feat of organisation and this probably tells us something about the very remarkable man who gave us the Palace Cinema – George Barber. 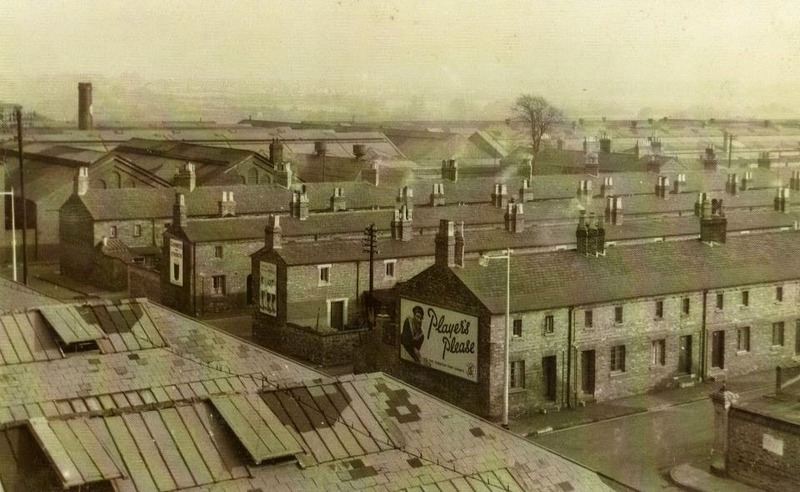 George Barber was born in 1860 in Tunstall, one of the potteries towns in the worst of imaginable circumstance in Victorian times. He grew up in the Workhouse. The Workhouse was conceived with charitable intent but Victorin attitudes insisted that the charity be earned through work. So the inmates of the workhouse got food and shelter in return for menial and often back-breaking work together with the loss of status that being in the workhouse implied. Many, who out of desperation committed themselves to the workhouse, were single unmarried mothers who had no other support for themselves or their child. For most people that would have meant a miserable life at the lower margins of society, but there was something in George Barber that drove him to rise above his circumstances. He taught himself to read and write and learned mathematics. He learned to play the accordion so that he could earn money in pubs and as a boy about 12 or 13 went to work in the mines. Later he found work with a chemical manufacturer and advanced to become a chemical and gas engineer. All of this was in his native town of Tunstall and it was here, in 1909, that he opened his first Picture Place. He was approaching 40 and this was certainly an adventurous phase in his career. This was the new age of cinema and George Barber was ready to take advantage. He had opened a picture house in Bletchley earlier in 1911 and this foray into North Bucks must have brought Wolverton to his attention. 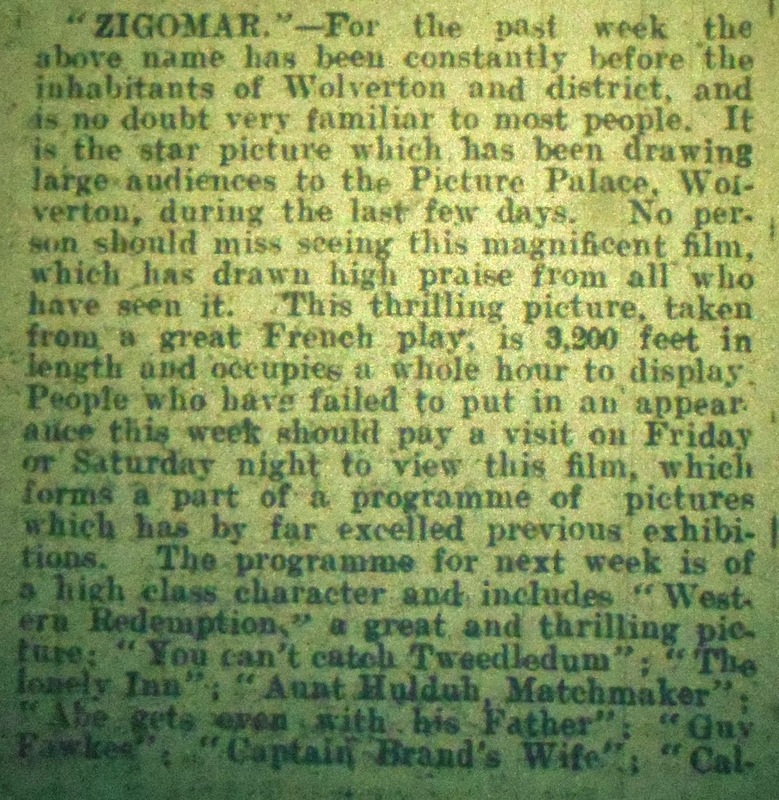 The first showing on December 18th in Wolverton was a film called Zigomar. Not much is known about it except that it was a French production – not that that would have mattered in the silent era – and it was a 3 – reeler. That is the total playing time was about 35 minutes. With reel changes the actual time for the audience would have been about 1 hour. Moving picture were such a great novelty in 1911 that I don’t suppose anyone minded at all about some of the things that would bother us today. 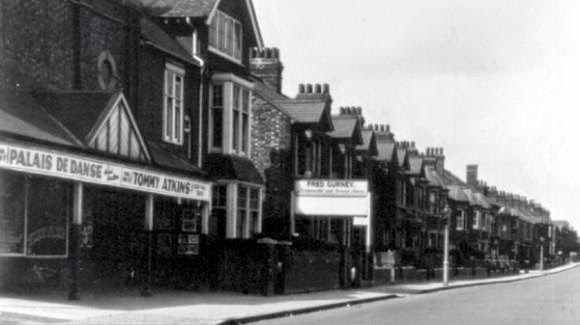 George Barber stayed in Tunstall, eventually becoming Mayor of Stoke on Trent, but he sent down a manager, Mr Thomas Moss, to run his Wolverton Picture Palace. In 1920 a steel girder was installed to span the building so that a larger balcony could be supported. 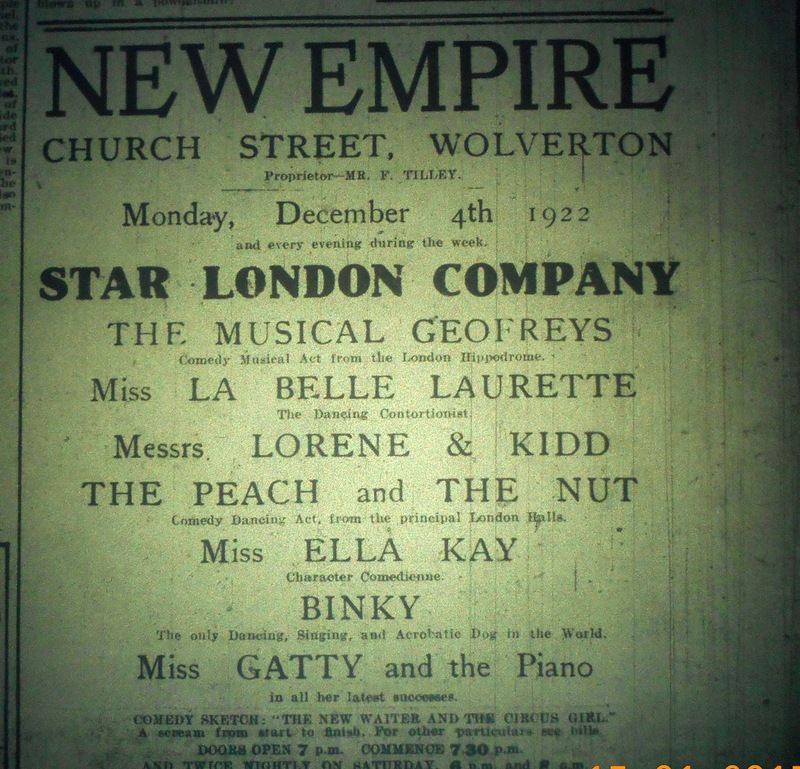 In the same year Barber opened the Scala at Stony Stratford. Thomas Moss moved to Stony to manage the new facility while Jack his son was left to manage the Wolverton Palace. In 1923 Barber initiated a publicity stunt whereby “messages” were dropped from a plane on June 21st. These messages are essentially numbered tickets and in the weeks following a number was flashed on the screen in the interval. Anyone with a matching number would be entitled to 10s. 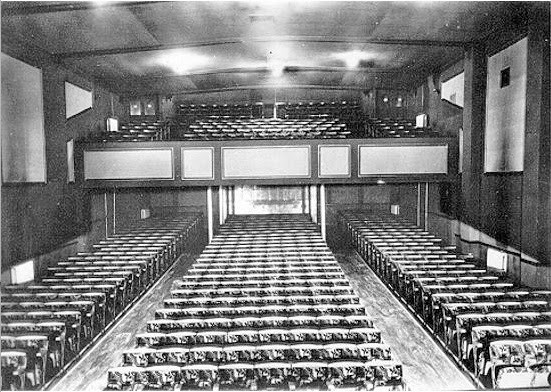 The last serious renovations were undertaken in 1935., and although these were extensive – lush seats, new thick pile carpet, by the mid 1950s it was all looking a bit shabby. George Barber died in 1946 and either around that time or before the theatres were sold. In 1955 the Palace and the Scala were owned by F W Allwood Theatres who went out of business in July 1955. 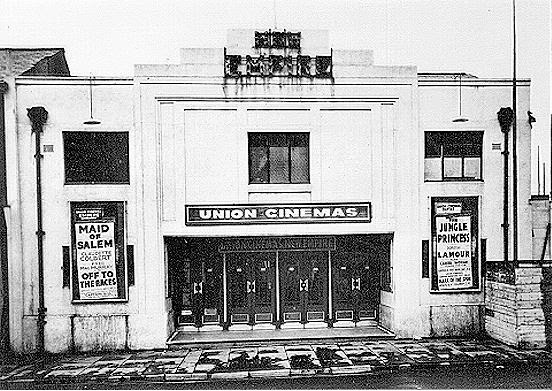 The cinemas were then acquired by a Mr EV Thomason. He struggled to make them financially viable and did not renew the entertainment licence which expired at the end of 1960. The Palce officially closed on January 23rd 1961 after screening a film called The Tattered Dress. 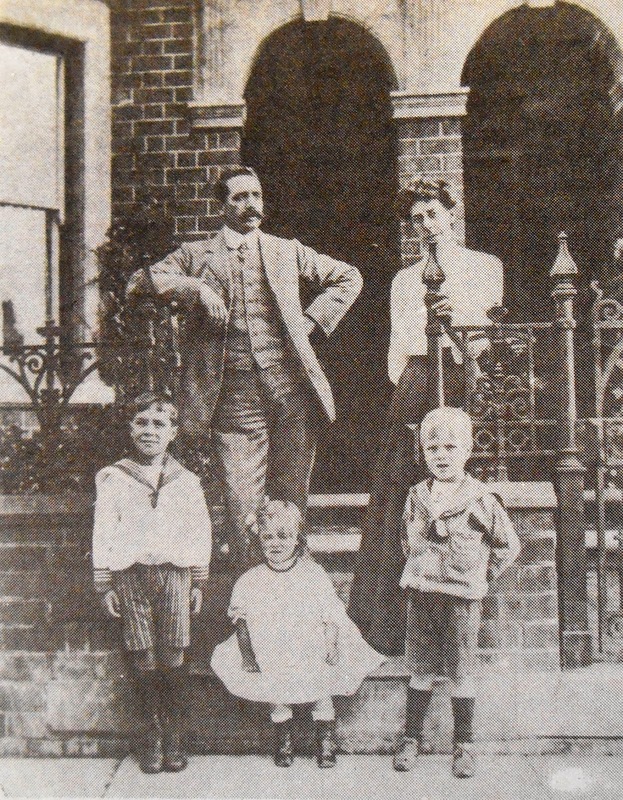 The property was subsequently acquired by a man called Eddie Green, who owned the California Ballroom in Dunstable. His plan was to convert the Palace into an entertainment and dance centre and he succeeded in getting a music and dancing licence on August 17th 1962. Later he was able to get the premises licensed for the sale of alcohol. It proved a popular venue and several big names in the entertainment industry of the day made their way to Wolverton. On weeknights when music and dancing was not allowed Bingo was the min entertainment and indeed, only three years later, in 1965, the South Midland Social and Bingo Club purchased the Palace. The magistrates were increasingly reluctant to grant occasional music and dance licences because of persistent unly behaviour outside the dance hall and eventually the palace settled into becoming a Bingo venue. Zetters acquired the site as a bingo Hall in 1970 until 1999. I was u for sale for many years until it was acquired by the Pentecostal Church for Faith Ministries. A some time during these years the awning at the front, which was a useful bus shelter as well as providing some decorative embellishment, was taken down. The building, now painted apple blue looks very stark. On Saturday July 10th 1921 a huge crowd gathered in the Square to witness the unveiling of the permanent War Memorial. It was made of Portland stone and stood 28 feet 8 inches high. The cost was £500 and the money had been entirely raised by public subscription. There are some interesting observations to be made about the preparations for this day, almost three years after the end of the war. 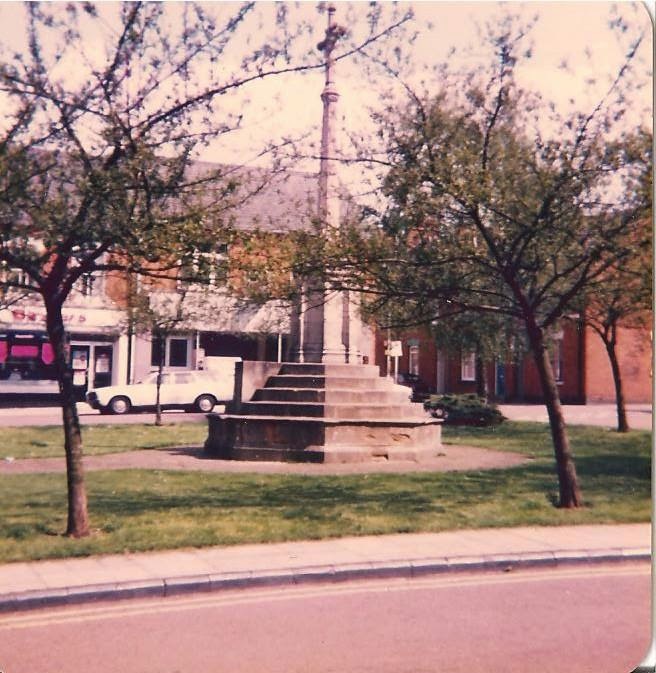 There was an almost universal desire immediately after the war, and not only in Wolverton, to build some lasting memorial. A committee was formed to raise the money and decide on the nature of the memorial and the process was initiated in November 1918. Various proposals were considered – a memorial hall, a bandstand, and, strikingly, a proposal for a public swimming pool. That particular dream took another 40 years to realise. 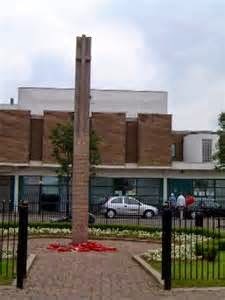 After much discussion over two years, and consultation with the general public, the memorial cross became the preferred option. There was a debate about the location. One opinion, from Old Wolverton’s Reverend Mildmay, was that the memorial cross should be at the Old Wolverton turn, mid way between Wolverton and Stony Stratford. It was his view that Wolverton would grow to meet Stony Stratford in 30 years! His vision has almost come to pass but it has taken a lot longer than one generation. The favoured location was the Square, which at that time was relatively new. It was land owned by the LNWR and they had not really done much with it. 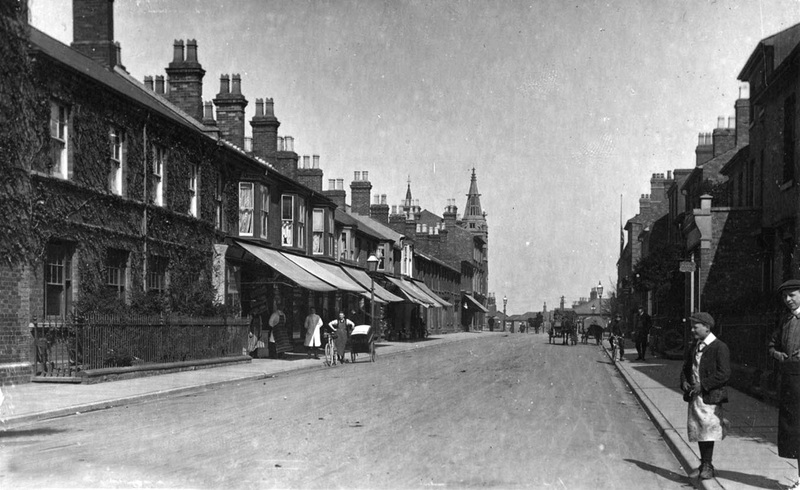 Buckingham Street and Aylesbury Streets had been developed in the 1870s and 1880s. Moreland Terrace was built in the 1890s, made up of above average properties, and there was probably an intention that the owners should enjoy an open view, rather like Glyn Square 60 years earlier. The Congregational Church commanded the southern side and the western side was made up of houses of mixed size. Briefly, this was called Market Street, so there must have been at least the germ of an idea in someone’s mind that the Square could be used as a market. The old Market House beside Glyn Square remained in use until 1906, when it was largely destroyed by a fire. The old school on Creed Street became available in that very year, and the market immediately transplanted itself. No further consideration was given to the Square. Accordingly the Memorial committee approached the LNWR and persuaded them to grant the land to the Council for the memorial. In everyone’s mind at the time this became a sacred space, and this probably explains why, over 90 years later, no other building has set its foundations on the Square. Not even the Agora was allowed to trespass! This memorial was actually the second. A wooden memorial was erected in 1919 while the process of developing a permanent memorial took its course. Over time the limestone deteriorated due to the ravages of atmospheric pollution and in the later part of the last century it was torn down and replaced by a third memorial.